Product #18630 | SKU RODBLIMPV2 | 0.0 (no ratings yet) Thanks for your rating! 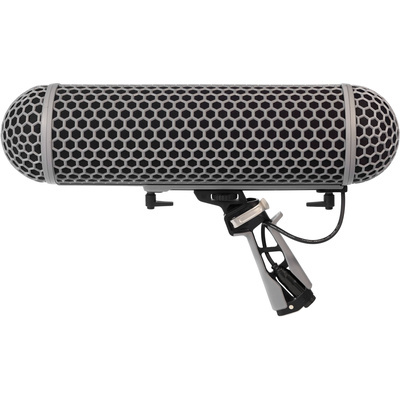 The Blimp Windshield and Rycote Shock Mount Suspension System from Rode is designed to provide your shotgun microphone with protection from wind noise and isolation from shock and vibration. It fits the Rode NTG1, NTG2, NTG3, NTG4 and NTG4+ and any shotgun mic up to 32.4 cm in length. The Blimp attaches to any standard boompole with the 9.5 mm thread attachment at the base. Housed inside the grip is a Mogami microphone cable which splits via a junction box to a flexible thin cable inside the Blimp, to minimise the transference of vibration to the microphone.